Torrents have always been a highly used method of illegally sharing copyrighted content and that’s obviously why they’re always associated with piracy. For the same reason, iOS has no support for torrents. 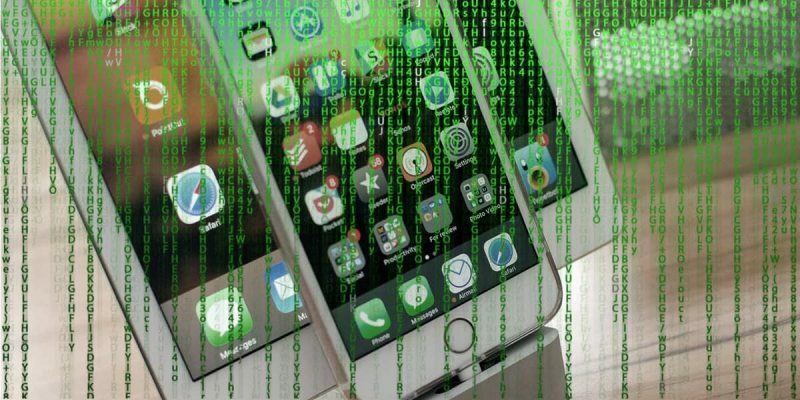 For a long time, it wasn’t possible to download torrents on your iPhone without jailbreaking, or on any other iOS device for that matter. However, it doesn’t mean it can’t be done now which is a good thing since not everyone is willing to jailbreak their iPhone or iPad. Truth be told, torrents are an excellent file sharing solution since the downloads are powered by multiple users which makes files more available and increases the download speed as well. Before anything else, it’s worth mentioning this guide also applies to iPads, not just iPhones. To download torrents you would need a torrent client and the torrent files or magnet links. There are no torrent clients in the App Store, but that’s not a problem anymore (more on that later). Until we get to downloading torrents, you would first need a torrent file. While most torrent sites provide illegal content, there are a few that are actually legal. Some of the popular ones are Legit Torrents, Public Domain Torrents and Internet Archives. While these have a lot of interesting and legal content you can download, you can probably find more by performing a simple online search. Either way, they’re great options to get started. You might also come across some desktop apps that are offered as torrent files by the developers. 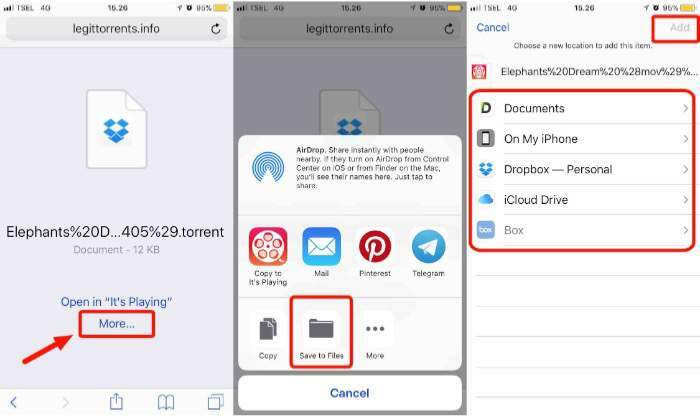 If you want to download torrents on your iPhone, you can use either torrent files or magnet links, although the second option is simpler. Once you have a magnet link or a torrent file, the next step would be downloading it to your iOS device. Since there are no torrent clients for iOS, you will need to use an online torrent client, which is just as easy. There aren’t many reliable online torrent clients, but you still have a few excellent options at your disposal. For the purpose of this guide, we’ll use Seedr.cc, our favorite one, but you might also want to check Zbigz, Torrentsafe, Bitport.io, and Filestream.me. We prefer Seedr.cc because it lets you store files as large as 2GB while most other services set the limit to 1GB. It works flawlessly on mobile devices and there is no limitation as to how many files you store as long as they don’t go over 2GB. If you create an account, you’ll get an additional 3GB of storage space. 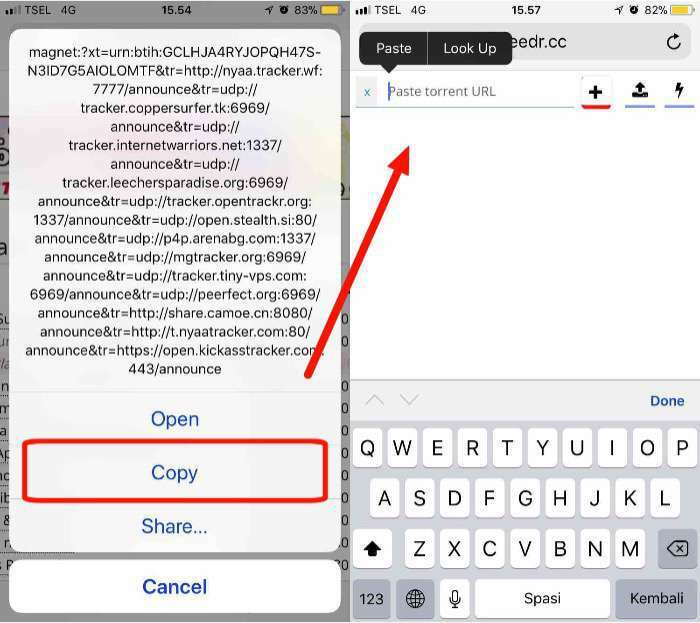 From the source of the torrent, get the magnet link – you just need to copy and paste it to Seedr.cc. 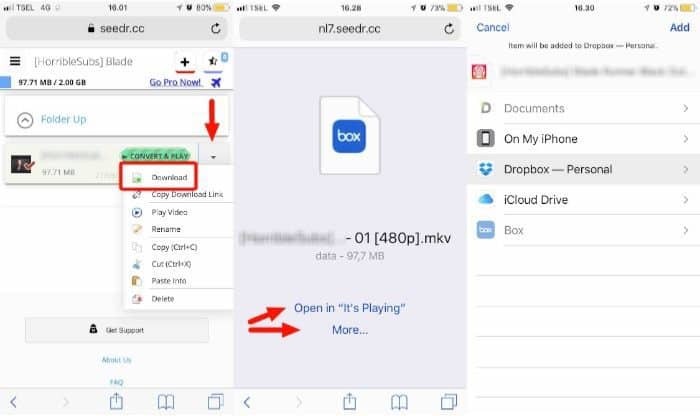 If you’d rather use a torrent file, you must first download it to your iPhone or iPad. After you click the Download button in the source, tap the “More” link and select “Save to Files” in the pop-up menu. Then, you can select where you want to save the torrent file. To continue, you will need to add that torrent file to Seedr.cc. With the web app open, click on the plus sign icon and select “Upload” then “Browse”. Navigate to your torrent file and select it. 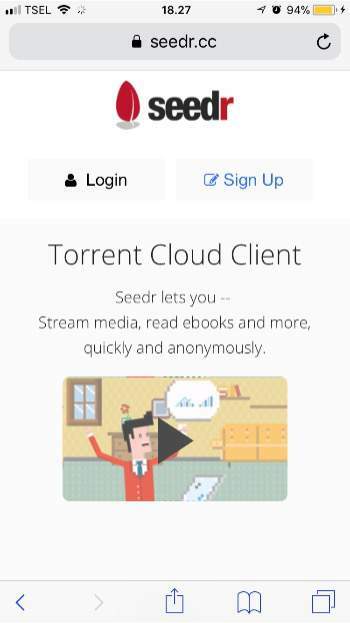 Regardless if you’ve used a torrent file or a magnet link, Seedr.cc will automatically download the file to its server after you’ve loaded it into the web app. 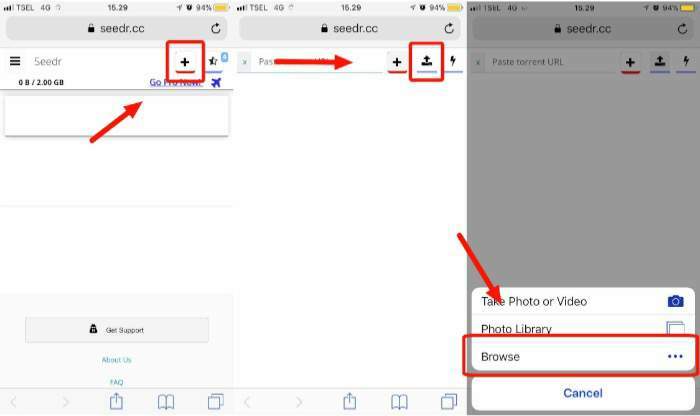 There’s no interaction required from the user’s part and since everything takes place in the background you can even close Seeder.cc’s browser window while you wait for the download to complete. Also, keep in mind you can’t load another torrent file or magnet link while there’s already a download in progress. You will need to wait for the current download to complete before adding a new file. 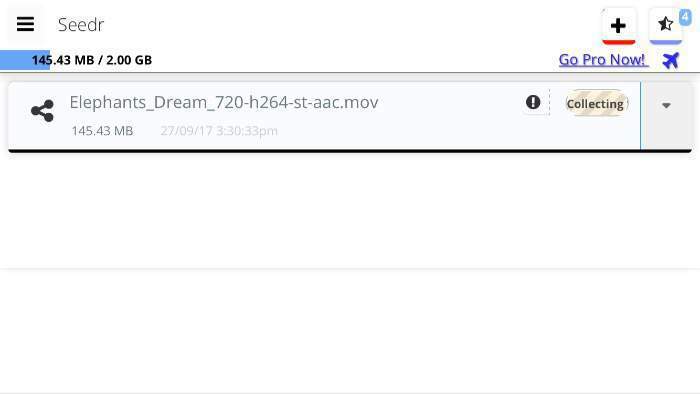 The downloaded file will be stored on Seeder.cc’s server. Tap on the downward arrow next to it and select “Download” from the drop-down menu to save it to your iPhone or iPad. 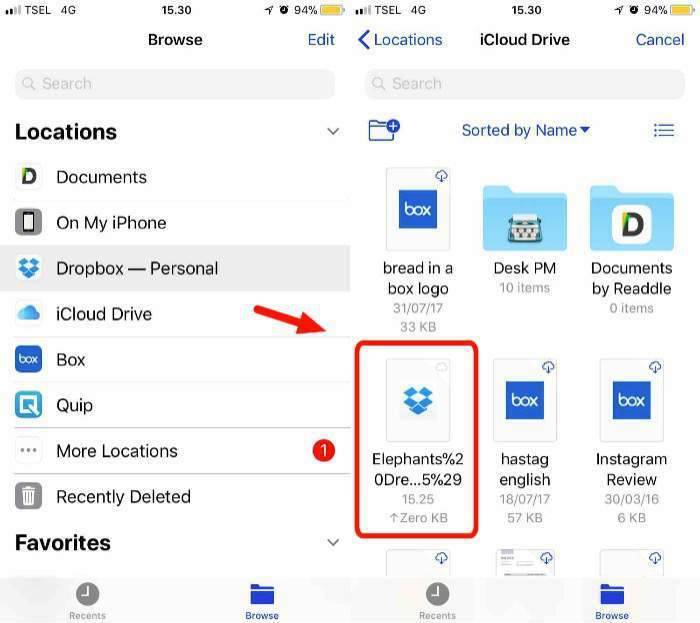 From then on you can access it using the default app for that specific format, like any other file you may have stored on your iOS device. That’s it!